I’m fairly certain that any of you who are playing along on this one are doing way better than I am. Ugh! I got the basket made, and my applique is cut out and pinned on, so I do plan to still finish this one sometime this month, when I sit down in the evenings to do handwork. 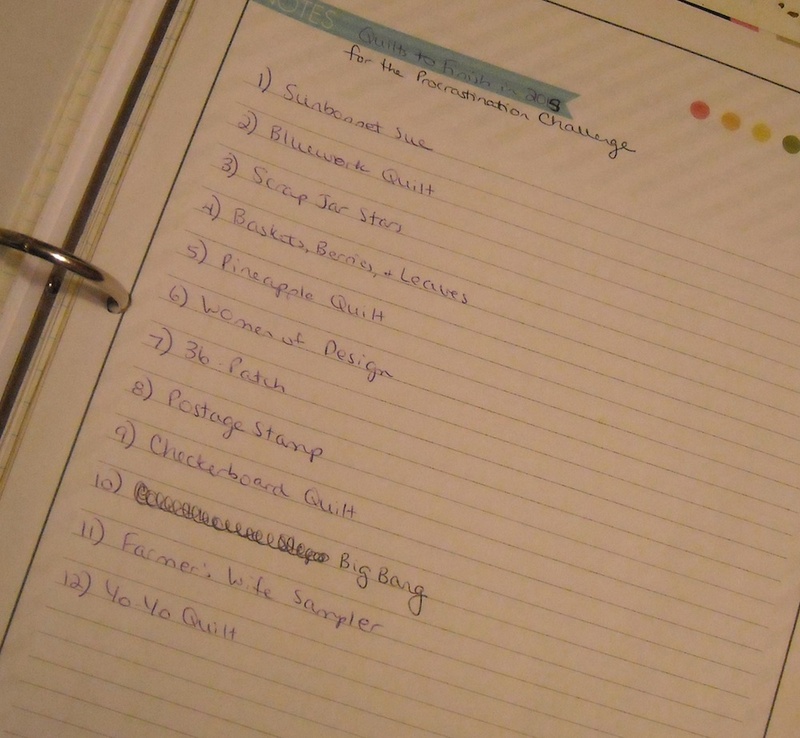 I still don’t have my Bluework quilt quilted, because I’m still not caught up on my longarm backlog (will I ever be? ), but it’s already time to choose another project to work on during March. I’ve drawn the number 8 for this month, which is my Postage Stamp quilt. 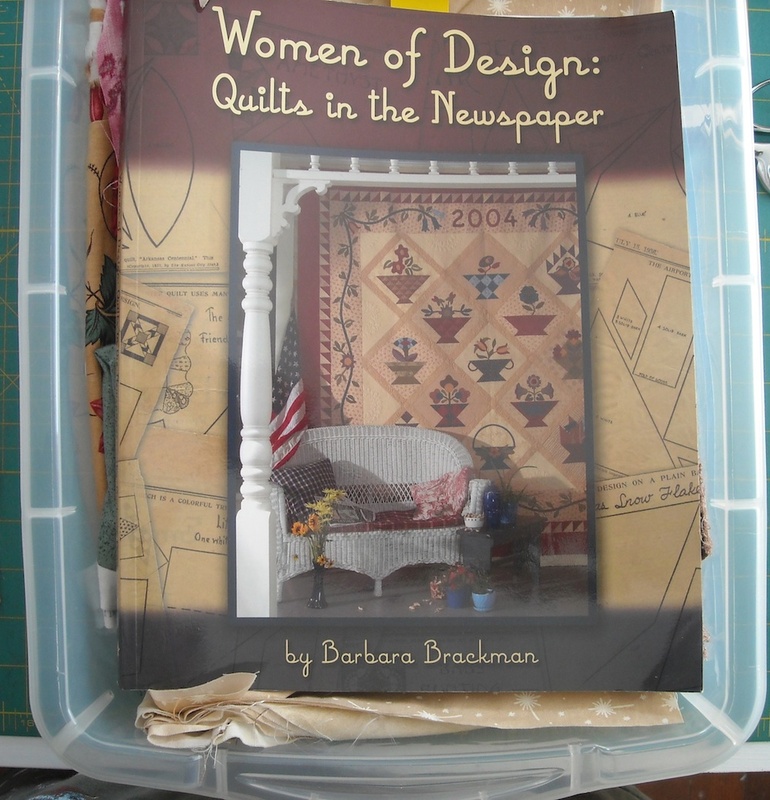 I’ve been using my Postage Stamp quilt as a leader/ender project for a long, long time. I have several blocks made, and lots of pieces cut, but I have no idea how close to done I really am, where my finished blocks are (packed away, no doubt), or how much more I need to cut (if any) to finish it up. You can read about the beginnings of this project, from way back in June 2011, here: Postage Stamp Love. Four years is long enough to drag this out, right? I will regroup on this project, figure out what’s left to do, and hopefully make some good progress on it this month. If I go back to using it as my main leader/ender project, I should get several more blocks finished, at least! How about you? Did you finish a project last month? Are you ready to work on another one for March? 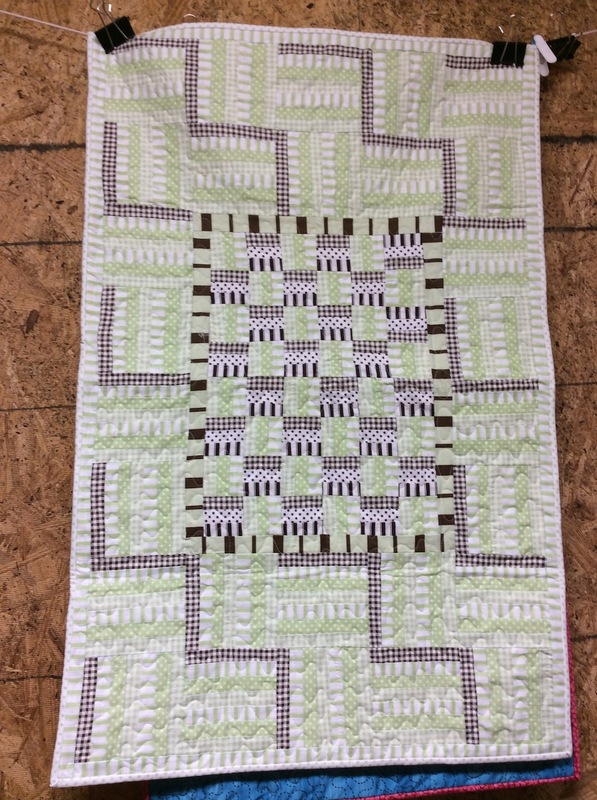 Sue sent me a picture of her February project within the first week — all quilted and bound and everything! And Janet wasn’t far behind her — she attended a retreat and got hers done. Aren’t these great? I love when you all send me pictures . . . it makes me feel like a slacker is very inspiring. I can’t wait to see what you’re all gonna work on this month. Here we go! Well I didn’t get around to working on the Dresden Plate last month like I wanted to (I’m blaming the fact I was sick), so that is again what I want to work on! I would go faster if you considered an alternate block of solid white. Perhaps everything on point. I am still cleaning by the way. Beautiful finishes all. You’ll get there with that postage quilt. I wouldn’t make anymore until you find the others or else if you do, you’ll be tempted to add another row or column, lol. I am going along with your numbers, and my #8 is Minkee pillows. The pillow will be easy, but I might try and use up that Minkee. I don’t like it for a back of a quilt. 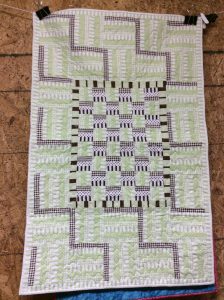 I didn’t like the way it quilted. I had 5 old things to work on last month and I only got to one of them — Orca Bay — but it’s a top now! 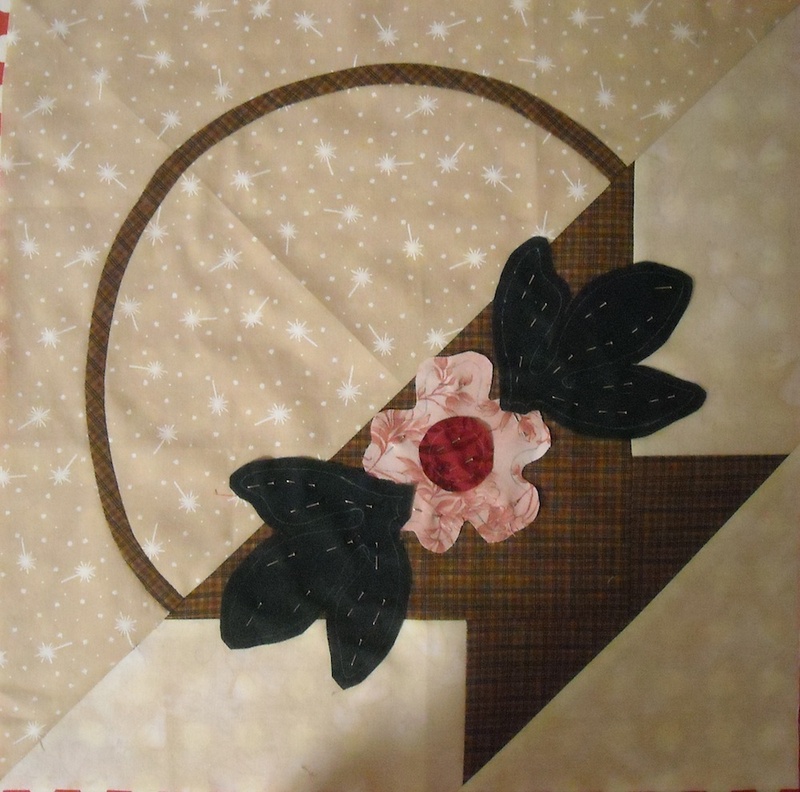 This month I’m focusing on the graduation quilt for my niece. It’s not like I didn’t know she was graduating in May, but I didn’t start on it until 2/18. most of the pieces are done, so now it’s on to assembling blocks and maybe the top? 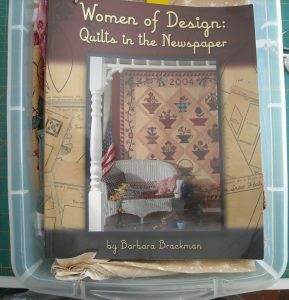 Postage stamp quilt sounds like a big project – for your sake I hope it is a doll quilt that is the only way I would get it completed. Best of Luck!! 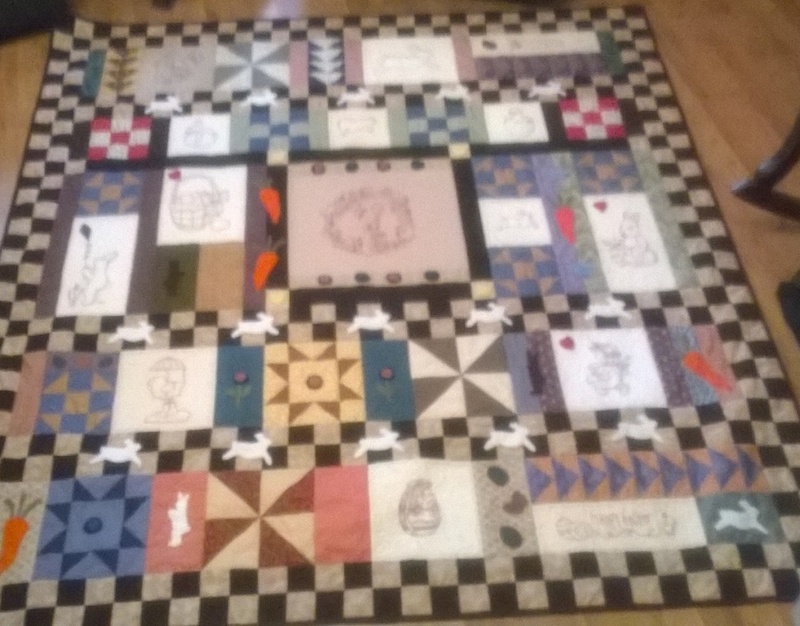 Mine is #12 – which is a scrap quilt I have been working on. 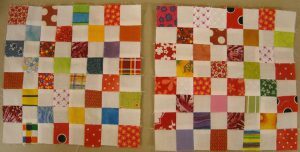 Blocks are done – top needs completed and quilted. I will drag out and start working on. Nope, didn’t finish anything last month, but will finish what I started last month in a few days. I’ve also decided to do the Postage Stamp Love quilt. Great Leader/Ender project. I’ve got a ton of 1.5″ squares cut out. I also have a new bolt of what fabric waiting to be used for such a purpose. A few years ago I brought the fabric to make a quilt for my daughter. Well it Is still in the bag from the store . Number 8 on my list so let’s see what happens this month. The pattern is called garden twist. Wish me luck……. 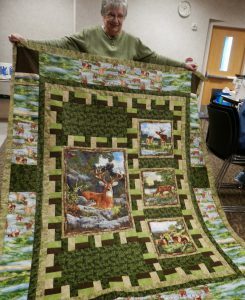 In February, I finished Clue #2 on the Bonnie Hunter Grand Illusion Mystery quilt. I’ll put that away and pull out a baby quilt that needed to be done several months ago! I pushed hard to finish Clue #2 so I’d have a good place to stop. I hate to quit working on it, but I need to get that baby quilt finished, too. It really won’t take long to finish the baby quilt. Once it is done, I’ll reward myself by jumping back to the GI and starting Clue #3! Aah, your postage stamp quilt intrigues me, too. I have 1000’s of small squares (1″, 1 1/2″, 2″) that need a home. Perhaps that could be something I’ll do after I get a couple of UFOs finished. Thanks for the incentive, Shelly!! Congrats to all those great finishes!I did make some headway on sewing some much needed pj pants, but I’m still working on the nightie. For March, it will be to finish a binding on a quilt I did years ago, so we can finally use it! Congrats to the ladies who finished their beautiful quilts in Feb! 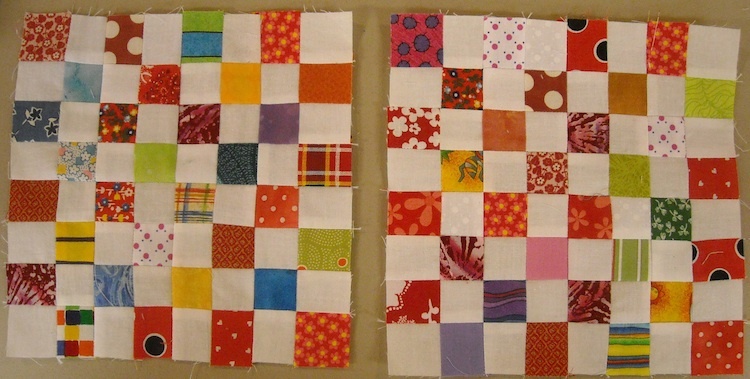 I didn’t finish one but trying to finish a quilt in March, so we’ll see what happens. Shelly, I made a postage stamp pillow a few years ago, and that’s as far as I’ll go….196 1″ squares. I admire those who can make an entire quilt! Did you happen to pick a number for April? I was looking over my list and I don’t have that number noted. 🙂 I know, I can pick my own, but it is more fun if I’m playing along with someone else.